The side was left out of the list against Sevilla by technical decision. Solari can not count on seven injured. Luca Zidane will be tomorrow second goalkeeper. 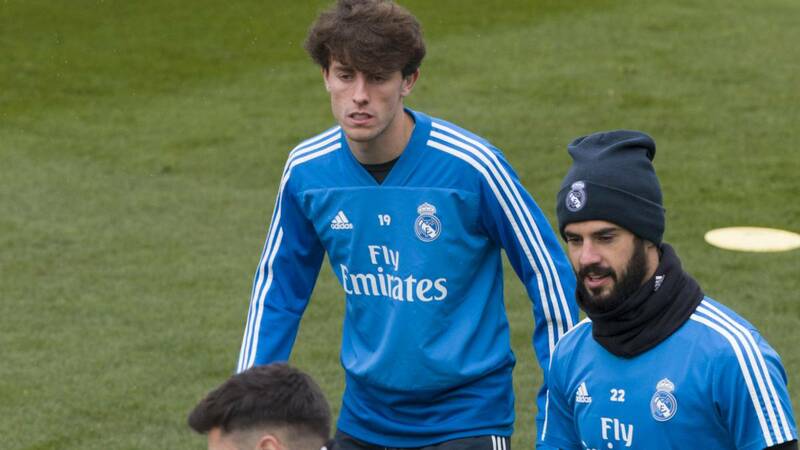 Solari recovered against Sevilla (16:15, beIN Sports) Courtois and Benzema, Odriozola discarded by technical decision and Altube (18 years), the Juvenile goalkeeper A, to cover the injury of Keylor. In total, the Argentine coach has made a list of 19 players, which do not include the injured Keylor (injury to the adductor long right leg), Kroos (break grade II in the left adductor), Mariano (irritation of the sciatic nerve), Marcos Llorente (grade II lesion in the left adductor), Bale (grade I lesion in the left soleus), Asensio (grade II muscle injury in the right rectus femoris) and Vallejo (grade II injury in the biceps femoris of his left leg) . Porteros: Courtois, Luca and Altube. Defensas: Carvajal, Ramos, Varane, Nacho, Marcelo and Reguilón. Centrocampistas: Modric, Casemiro, Valverde, Brahim, Isco and Ceballos. Detanteros: Benzema, Lucas Vázquez, Vinicius Jr. and Cristo.